​​Come with us as we take you on a Circular Economy Tour through Berlin's vibrant Neukölln neighborhood. Home to a sea of expats and young international artists, this is one of the areas where Berlin's circular economy scene is growing the fastest! Let's meet the minds behind ground-breaking Circular Economy innovations and hear the story of how they started, what they learned on the way and how the future of sustainability looks like in their dreams and visions. From coffee cups made out of coffee grounds, to zero waste supermarkets, through circular streams for textiles, permaculture gardens and fermentation workshops - together we will visit the most exciting leaders of circular innovation. 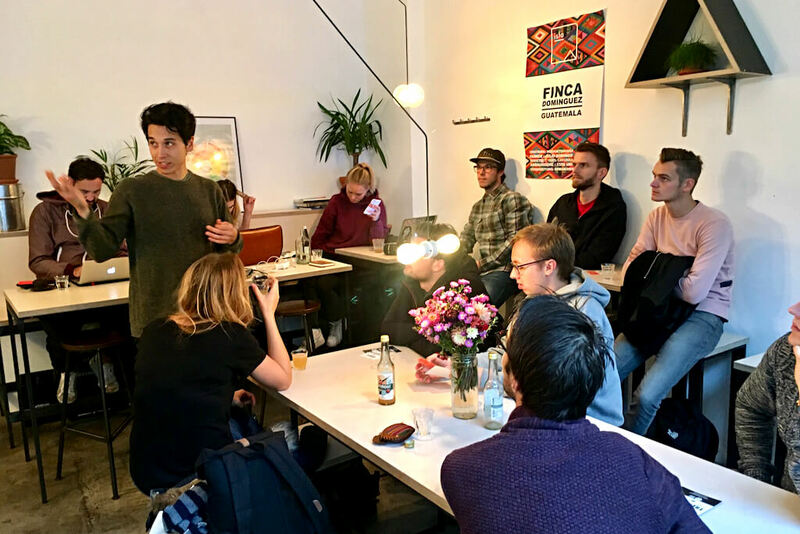 This tour is a great chance to get an overview about the Circular Economy movement in Neukölln, meet a range of changemakers in the area & get a little taste of their inspiring work. Re-use, reduce, recycle: Together, we’ll knock on the doors of zero waste cafés, circular fashion designers and passionate food-savers, visit workshops and ateliers, get a glimpse into alternative upcycling concepts and learn about new ways of eating. **Tour+Dinner: A delicious shared zero waste dinner cooked up by one of Berlin’s passionate food saving startup's. Please indicate any dietary restrictions or preferences when you book. We try our best to accommodate every need. We explore the areas mainly by foot - so wear comfy shoes and leave the high heels at home. Occasionally, we go 1 stop by metro to maximize the time with our changemakers. In that case you need a BVG ticket and we will let you know once you booked the tour. Even though we always have sunshine in our hearts, Berlin weather can be unpredictable sometimes, so please dress appropriately. We’ll do the tour regardless of weather conditions. Bring your reusable water bottle so you stay hydrated throughout the tour. You will have the chance to refill it on the way / at the end of our route. We organize unique Circular Economy Tours in Berlin, connecting curious individuals, groups and businesses with cutting-edge projects and passionate innovators in the scene.